The Daily Transcript is tracking all the issues surrounding medical marijuana. San Diego-based Mentor Capital Inc. (OTCQB: MNTR) entered into a contract to receive $1.287 million in funding to support its medical marijuana efforts in exchange for 757,059 shares of stock at $1.70 per share. The City Attorney’s office obtained court orders Wednesday to close two more marijuana dispensaries that were operating in violation of San Diego’s zoning regulations. The City Attorney’s Office obtained a court order Thursday to close the Green Circle Cooperative marijuana dispensary in Mission Valley. La Mesa and Encinitas look poised to not join other cities, like San Diego, in creating a pathway for medical marijuana dispensaries to legally operate within their city limits, as building vote tallies from Tuesday's election indicated Proposition J and Proposition F were failing by significant margins. DAVENPORT, Iowa -- A judge Tuesday gave probation rather than a prison sentence to a dying Iowa man convicted of growing marijuana and using it to treat his terminal cancer. A Gallup poll last year found 58 percent of Americans believe marijuana should be legalized. That's already happened in Colorado and Washington -- the states that are home of last season's Super Bowl teams. Washington voters in November will decide whether to legalize marijuana for recreational use, injecting the nation’s capital into the growing political push to roll back prohibition on the drug. Medical marijuana cultivators and sellers are fearful that the detailed documentation required of them by San Diego's regulations could impede legitimate business and open them to federal scrutiny. With the exception of medical marijuana, it is illegal to possess any amount of any material deemed to be an illegal drug in 48 of the 50 states. When nearly two-thirds of Colorado voters changed that law as it concerns recreational marijuana in Colorado, surrounding states, Utah in particular, may have seen a potential for some extra cash. U.S. regulators are studying whether restrictions on marijuana should be eased, a step toward decriminalizing the drug at the federal level. DENVER -- Colorado's marijuana market boomed in April as tens of thousands celebrated the once-underground 4/20 pot holiday. Now that San Diego is regulating storefront medical marijuana clinics, the City Council is moving its attention to mobile dispensaries. Medical marijuana delivery services are not permitted. 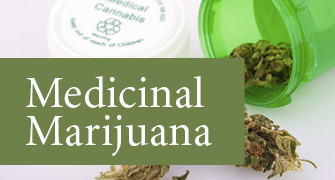 However, the marijuana dispensary locator website Weedmaps.com shows delivery or mobile medical marijuana providers in the city far outnumber storefronts. Marijuana sales in central San Diego are rampant and totally out of control. The City Council's Public Safety and Livable Neighborhoods Committee on Wednesday will discuss amending San Diego municipal code related to the possession of marijuana for medical purposes and the operations of medical marijuana cooperatives. SAN DIEGO (AP) -- San Diego's acting mayor says he's asked his office to enforce the city's zoning laws preventing medical marijuana dispensaries, reversing a hands-off order from recently resigned Mayor Bob Filner. As the San Diego City Council last week moved to draft new rules governing medical marijuana, the hearing room was packed with cancer patients praising the health benefits of cannabis; parents fretting that their children might get hooked on the drug; dispensary operators touting the tax dollars they could bring the city; and clergymen worrying about how the drug might boost crime rates and loosen morals. The proponents were buoyed by recent polls showing that 77 percent of Americans support decriminalizing medical marijuana, including 52 percent who say the drug should be totally legalized. DENVER (AP) -- Pot may be legal, but workers may want to check with their boss first before they grab the pipe or joint during off hours. Judge closes 9 marijuana dispensaries in S.D. A San Diego judge signed orders closing nine marijuana dispensaries, the San Diego city attorney's office announced Wednesday.